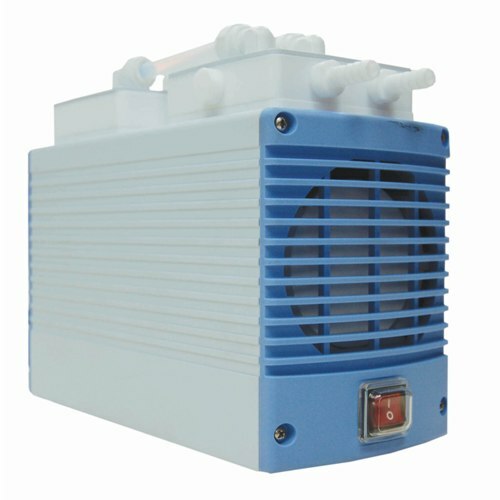 Chemker Series Pumps [(37 lpm, AC110V, 60HZ) or (34 lpm, AC230V, 50HZ)] are chemical duty vacuum pumps that can be used in various applications. All wetted parts are made of PTFE material and the outer case is processed with squeeze-casting aluminum and anti-rust treatment. An air driven diaphragm and oil-free design will lower both cost and maintenance time.